If you are interested in becoming a donor or are a patient interested in being featured on our website and Facebook page, please fill out one of the appropriate forms below. Once we've received your form, someone from our team will be in touch with you soon. To fill out forms, click on the link and a form window will pop-up. Fill out the info to the best of your ability and if you have any questions, there is a box below each form to add any additional comments. If YES to Dialysis, how long? What caused the failure of your kidneys? 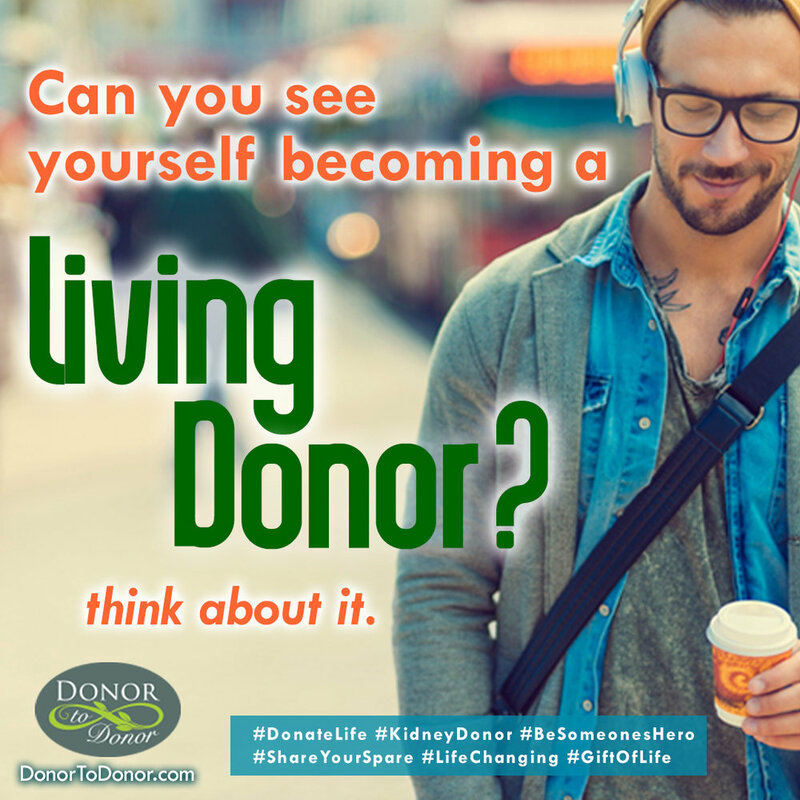 Are you registered at a transplant center(s) for a donated kidney? If YES, where are you registered and for how long? Creatinine Level - Do you know what level you are as of your last test? eGFR - Do you know what level as of last test? Email is generally the fastest way we're able to communicate but sometimes a phone call is needed. For those cases, please provide the best number you may be reached at. Please use this area for any additional questions, comments or messages. Also please add best day and/or time to call. Thank you. All the information above is true to the best of my knowledge and as the person filling out this form, I have the right to submit this information and/or assist the person this references. The information above is either regarding myself or a family member/loved one. I agree, I am filling this out for myself. I agree, I am assisting my loved one / family member. We appreciate your interest in our program. Someone from our team will be in touch with you as soon as we review your information. We will get back to you as soon as possible. We appreciate every connection we make and your interest in this site, we look forward to talking with you.